An official from the Department of Interior and Local Government said discrimination is now going on to Overseas Filipino Workers because of Robredo's video. "Right now, ang mga Pilipinong nasa ibang bansa nahihirapan na po. Yung mga Filipino sa Italy, kinakantyawan na sila ng mga Europeans dahil sa nangyari," said DILG Assistant Secretary Epimaco Densing in an interview with News 5. He said that he was emotional when he saw the video that Robredo sent to the UN. Epimaco told that a group of top lawyers ate teaming up to file an impeachment case against Vice President Leni Robredo. Robredo called for assistance and put to light accounts of extrajudicial killings and linked it with the drug war of President Rodrigo Duterte. Epimaco said it was as if the VP was ruining the image of the whole country. Sponsor "Ang kanyang ginagawa ay economic sabotage. 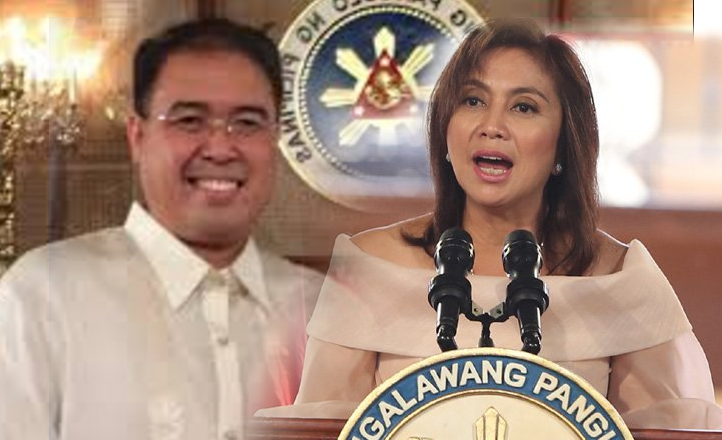 Ilang buwan na nilang sinisiraan ang bayan," the Asec said, referring to Robredo and the Liberal Party to which she belongs. He said that as a result, the European Union have gone against the alleged human rights violations and has threatened to intervene, even asking to remove Senator Leila de Lima from prison. He said De Lima was imprisoned because she has committied crimes not because she was a political prisoner. He confirmed that lawyers are to meet to file the impeachment complaint. He said he will not disclose who the lawyers are. The impeachment will be on the grounds of betrayal of public trust.